The last couple of storms actually left some snow in the Sierra, and it looks like its going to stay. To give you an idea of how this compares to the previous few years, we have been hiking in Yosemite in January without seeing much snow. 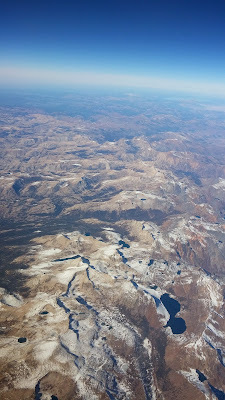 Here's a photo P took a couple of years ago of the Saddlebag Lake area just east of Yosemite in late November...with just a powdered sugar dusting of snow at 12,000 feet.